Sugar Detox, Nutrition Education, Support Group. A five week nutrition program with a built in support group to help you kick the sugar habit. This program will help you take back your life from sugar addiction. You won't believe how good you can feel!! It is so much more than a sugar detox. CLICK ON THE FRUIT SLICE TO BEGIN YOUR ORDER. Hurry! Register now. Classes fill quickly! Before you register and pay, please make sure you can attend all five classes (this is not mandatory but is helpful and will help you succeed). There are no refunds or discounts given for missed classes and your participation in class in important. 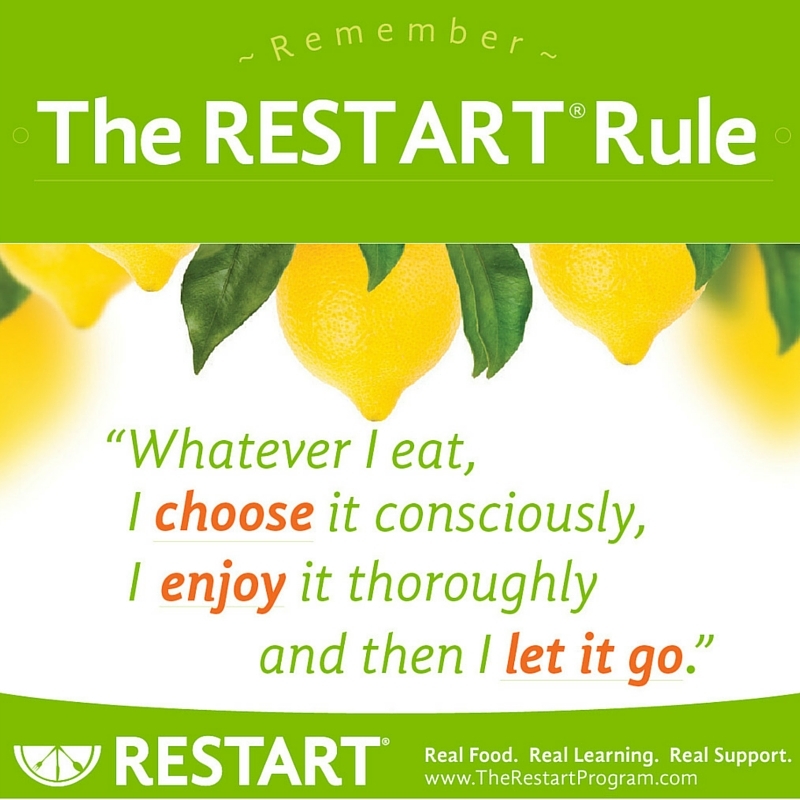 Buy the RESTART® Cookbook. It is not required but many people find it to be a very helpful resource while doing the program. Don't miss your opportunity to take back your cravings! Register Now!